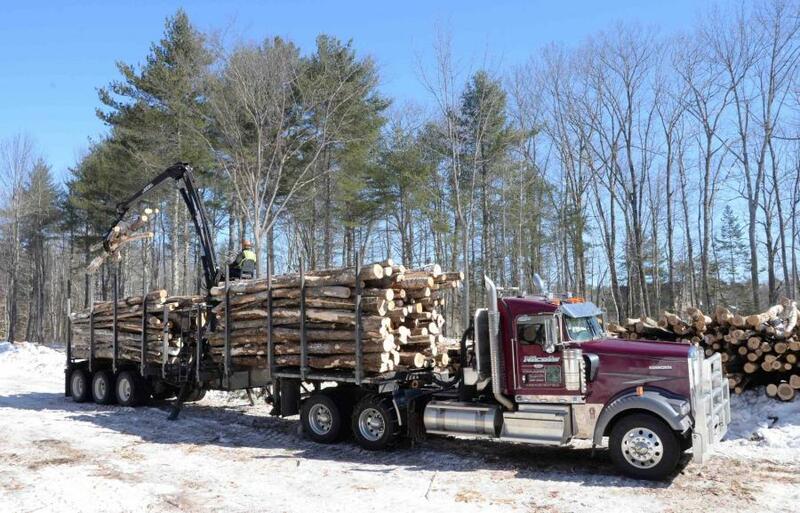 Maine is facing a shortage of loggers and log truckers that will grow and could hinder the growth of the $8.5 billion forest products industry in the state if wage growth does not occur, an occupational analysis released March 14 concludes. The employment availability and wage analysis prepared by the Maine Center for Business and Economic Research at the University of Southern Maine found wages for logging equipment operators and log truckers in Maine are lower than those for comparable jobs in competing industries in the state, and this combined with a tight labor market and looming retirement for large numbers of loggers is concerning for Maine's forest economy. 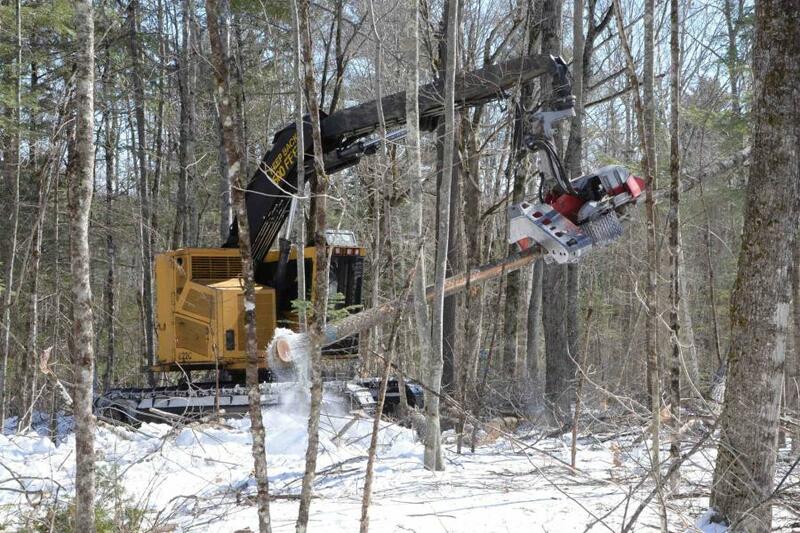 "This analysis simply confirms and reinforces what many in the industry have known for a long time," Dana Doran, executive director of the Professional Logging Contractors of Maine (PLC), which commissioned and partnered with the Center on the study, said. "The root of Maine's vital forest products economy — the logging industry — must be able to offer higher wages to compete for existing workers and attract new ones at a time when they are desperately needed to support a resurgent forest products industry." "We know from surveying our own membership, which cuts approximately 75 percent of all wood harvested in Maine, that the industry is already unable to fill an estimated 750 to 1,000 jobs today," Doran said. "Add to that the projected loss of upwards of 200 workers per year over the next 10 years due to retirements, coupled with the need for more loggers and truckers to meet rising demand for wood from expansions that have been announced by mills in the state recently and you begin to see the extent of this problem." In addition to Maine expansions already announced by mill owners including Verso, Sappi, Nine Dragons and Pleasant River Lumber, the FOR/Maine (Forest Opportunity Roadmap), a broad coalition working to diversify the state's wood products businesses, attract capital investments and develop greater economic prosperity for communities impacted by recent mill closures has announced an action plan to grow Maine's forest economy from the current $8.5 billion (annual) to $12 billion by 2025. This growth would position the state to compete in and take advantage of substantial global market opportunities with much of the projected 40 percent growth coming from new markets for the state. Such growth also would require a significant expansion of the logging and log trucking workforce in Maine, Doran noted. Recently announced expansions increasing demand for wood will require an additional 100 jobs in the logging industry in the immediate future. In addition, occupation projections suggest upwards of 200 workers per year will need to be replaced over the next 8 to 10 years due to an aging logger workforce. The average earnings for all employment in Maine's logging industry have increased by five percent since 2010, an average increase of just over $2,100 per worker compared to an average increase of $5,500 in comparative industries, such as construction, wood manufacturing and pulp and paper manufacturing. More than 400 workers in the industry are at retirement age (65+), while an additional 850 workers will be reaching retirement age within the next 10 years. Attracting younger generations of workers will be critical in replacing the retiring workforce. Based on 2018 data, an estimated 4,927 jobs were directly supported by traditional (paid employee), self-employed, and proprietor income employment in logging. This supported another 3,266 jobs from indirect and induced spending impacts. In addition, a total of $320.8 million in earnings (compensation) were supported by direct, indirect, and induced employment from the logging industry. The Executive Summary of the study is available at: maineloggers.com/new/wp-content/uploads/2019/03/Professional-Logging-Contractors-of-Maine-Occupational-Wage-Analysis_final-1.pdf. For the full report, visit: maineloggers.com/new/wp-content/uploads/2019/03/Professional-Logging-Contractors-of-Maine-Occupational-Wage-Analysis-Data-Appendix-FINAL.pdf.